Dry stone walling is flexible; it does not use mortar; it is good for wildlife; it is a sustainable. The only minus points arise if fuel is used for quarrying and transporting the stone. This video is of a Chelsea Fringe event in Crossbones Garden, near London Bridge Station. Participants receive a certificate of attendance at the end of the session. John Holt is a great teacher. This entry was posted in Garden Design, green walls on 24th May 2015 by Tom Turner. Living Walls are an exciting new and emerging technology. This one day seminar forum will reveal and share the latest information about the different types of available living walls from a range of perspectives including academia, designers, plant specialists, installation and maintenance experts and living wall system manufacturers. Highlights include a review and discussion of the latest research in living walls, recent developments in living wall systems, ecosystem services and case studies. The key manufacturers and installers will also exhibit and present their living wall systems and attendees will be able to inspect and ask questions about the systems on the day. 6 case studies of different systems by manufacturers from EU & UK will present and exhibit their systems for a hands-on approach. 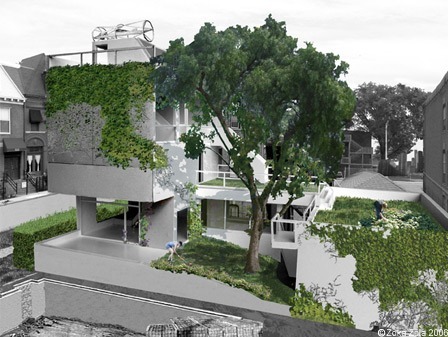 This entry was posted in green walls, Sustainable design on 17th March 2014 by Tom Turner. Amazing but true: the price of solar panels after dropping at about 6% per year for a decade, the price of solar panels is now dropping at 20% per year. If this continues for 5 years solar power is going to be cheaper than coal power. But the cost of electricity transmission is not falling so it will be advantageous to have solar panels as close as possible to the buildings in which the electricity is used. So the likely future of urban design is: solar panels on the walls and vegetation of the roofs. No more dead walls and, since pv panels are reflective, we can look forward to sunlight being reflected into the previously dark corners of cities. Retaining the ‘matchbox’ form of recent cities would not be sensible. We can look forward to some entirely different urban forms and to a much fuller integration of landscape design with architectural design. 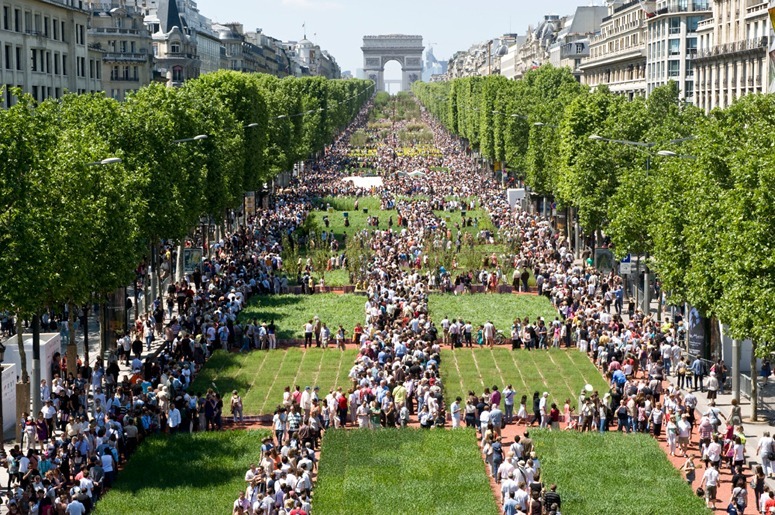 This entry was posted in green walls, Sustainable design, Urban Design on 30th April 2013 by Tom Turner. But will it work? I do not anticipate a horticultural problem with growing the trees. But will the residents want them? I am sceptical. A planted balcony with shrubs, flowers and living space is a delight. But there is a long history of residents not wanting large trees too near the windows of their houses. Trees keep out the sun and block views. The trees on top of the building should be a great success – providing the structural, horticultural and stability issues have been properly addressed. This entry was posted in Garden Design, green walls, Sustainable Green Roofs on 9th February 2012 by Tom Turner. It is a pleasure to have a green wall in Trafalgar Square this summer, to cover some scaffolding. 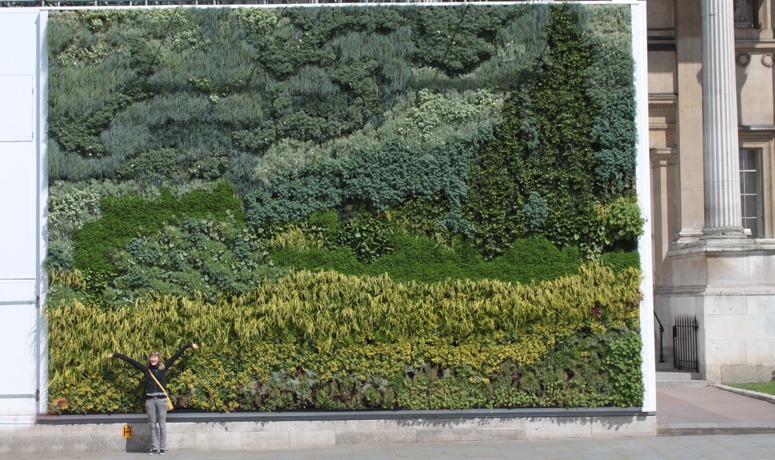 The green wall was sponsored by GE and the National Gallery, as part of its Carbon Plan. It was designed by landscape architect Shelley Mosco. It is based on Van Gogh’s Wheat Field with Cypresses (below left). Shelley’s planting design (below right) uses pointillist planting blocks for texture. The wall has 36 different species in 250x500mm modules, each containing 14 cells of 125x76mm). The living green wall is 4.8m x 7m and has over 8000 plants. Shelley is also interested in living green walls made with native plants,using a GIS system to guide plant selection for particular localities. This entry was posted in Garden Design, green walls on 11th June 2011 by Tom Turner. Clean, green and responsive: the future of architecture? One of the most significant benefits of the Lumenhaus construction concept is that it is off-grid (with options for feeding energy to the grid where appropriate), prefabricated and transportable making it an ideal solution for remote housing (increasing production standards, optimizing costs and providing improved accessibility to remote locations), temporary housing (mining and student communities) and emergency housing (after natural disasters). Landscape architects could contribute significantly to the concept by, among other strategies, incorporating green wall technology on the wall cladding and designing a compatible site responsive green roof space beneath a solar panel shaded umbrella roof. This entry was posted in context-sensitive design, Garden Design, green walls, Landscape Architecture, public art, Sustainable design, Sustainable Green Roofs, Urban Design, urban food on 30th March 2011 by Christine. With the European Parliament mandating under the amended ‘Energy Performance of Buildings Directive’ that all new buildings are to be ‘zero energy’ by 2019 the heat is on to produce architecture and environments that contribute to more sustainable energy equations with a zero or positive bottom line. Under the (Zero Energy Building) ZEB definition four aspects of energy are considered: 1) net-zero site energy 2) net-zero source energy 3) net-zero energy costs and 4) net-zero energy emissions. Chicago architect Zoka Zola has designed a zero energy urban home with a green roof for passionate gardeners. The green roof is designated as the zone for the home to extend in the future and for the installation of renewable energy infrastructure. The accessible green roofs encourage “bio-diversity and absorb water runoff, while insulating the interior and protecting the roof from thermal shock and ultra violet deterioration.” The tree in the south facing garden provides both beauty and summer shade. The garden also provides the outlook from the rooms with large south facing windows. With designers giving functional, structural and aesthetic consideration to the zero energy buildings the green future is looking bright. This entry was posted in carbon cycle balance, context-sensitive design, Garden Design, green walls, Landscape Architecture, Sustainable design, Urban Design on 26th March 2011 by Christine. (3) more urban public space of the highest quality and greatest variety: busy and quiet, large and small, glazed and unglazed, soft and hard, wild and cultured, space at ground level, above ground and below ground, space for shopping and space for prayer, space with quiet water, bright water, dark water, swimming water, boating water and living water, biodiversity, socially diverse space for each cultural group (listeners to Radios 1,2,3,4,5,6,7 etc) and social space for the particular interests of ethnic, work and leisure groups. London’s new amenities could be provided on a spatterdash basis – or London could have an urban landscape plan. The Canary Wharf development on the Isle of Dogs was a key project. It points to what should be done, to how it should be done – and to where it should be done. London’s traditional rival is Paris, which has a bold plan, now over 300 years old, for projecting the axis of the Tuileries westward – to the Place de la Concorde, to the Arc de Triomphe, to La Défense and beyond. London has a modest plan for projecting Crossrail into the Thames Gateway. 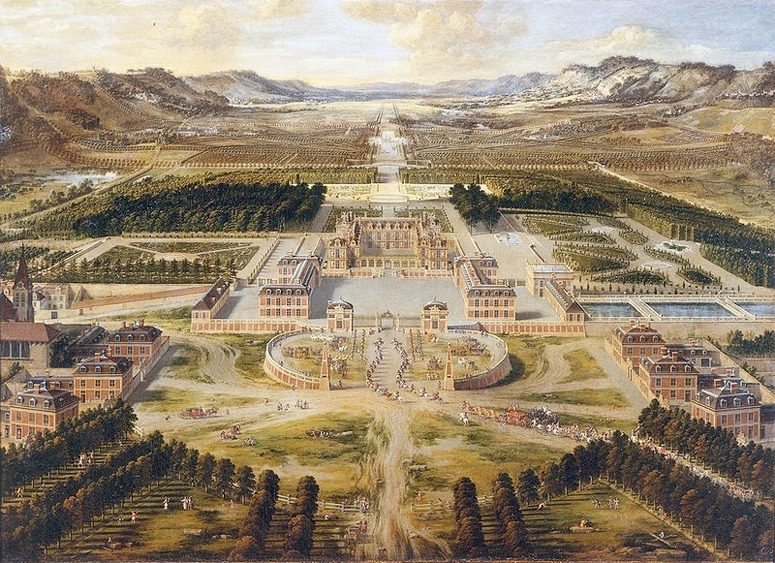 But London landscape planning lacks spatial imagination – and axes were a baroque idea. London will require many new buildings. They should be of the best available quality – and they should be grouped to ‘define and contain’ new urban space of the best quality and variety. The urban space should be designed before the buildings. A great new urban landscape should be planned to run east from the Isle of Dogs. Olympia and York made a significant start when they commissioned Laurie Olin to plan Westferry Circus and the Canary Wharf central axis. Before this, the Isle of Dogs was being developed with small cheap buildings and a pitiful lack of long-term vision. The Hanna Olin plan was much better – but it was more of a plan for Visual Space than for Social Space or Ecological Space. The present period of relative economic stagnation is an opportunity to take a broad perspective on the eastward projection of London and its financial future. There should be a 3-year plan, a 30-year plan and a 300-year plan. London should remember that ‘He that the beautiful and useful blends, Simplicity with greatness, gains all ends’. 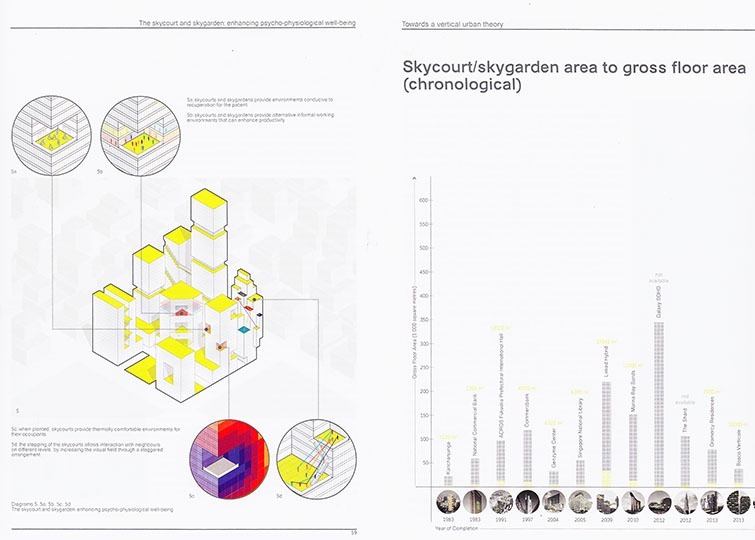 Urban designers, architects and landscape architects should plan a multi-functional urban landscape with the highest visual quality and as much sustainability as can be planned at this point in time, with conceptual principles prioritised over design deails. 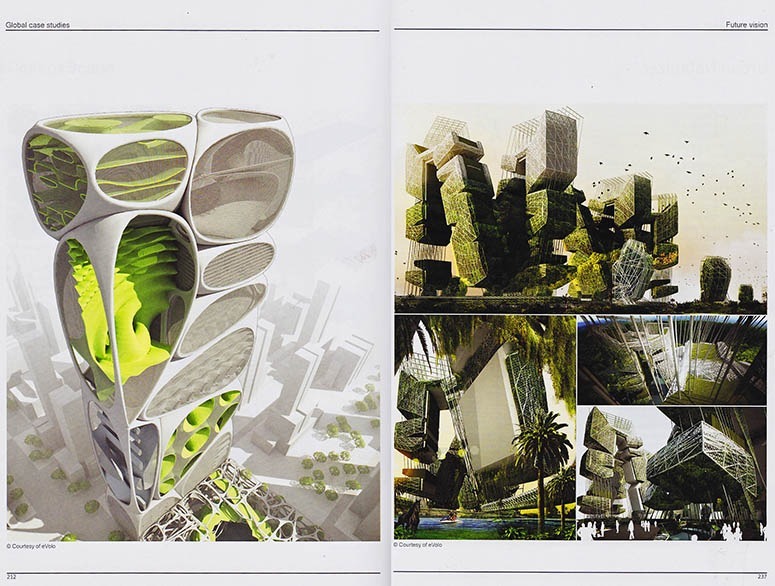 This entry was posted in green walls, landscape planning, London urban design, Sustainable Green Roofs on 20th September 2010 by Tom Turner. Patrick Blanc green walls are beautiful – but are they sustainable? Patrick Blanc has made a great contribution to the technology of green walls, with beautiful results. But do they make useful contributions to environmental and sustainable design objectives? I do not know and would like to hear of any scientific evidence and environmental impact assessments. My guesses are (1) Patrick Blanc’s green walls use more energy for pumps/materials/manufacture than they save through insulation (2) more of Patrick Blanc’s green walls use tapwater than use rain which has fallen on the site (3) Patrick Blanc’s green walls make useful contributions to noise attenuation and dust capture (4) the contribution of Patrick Blanc’s green walls to biodiversity is negligible (5) one could achieve more environmental benefits, though less beauty, by using climbers. The above example is on the Athaneum Hotel in Picadilly, London. Stephen Alton shares my scepticism. 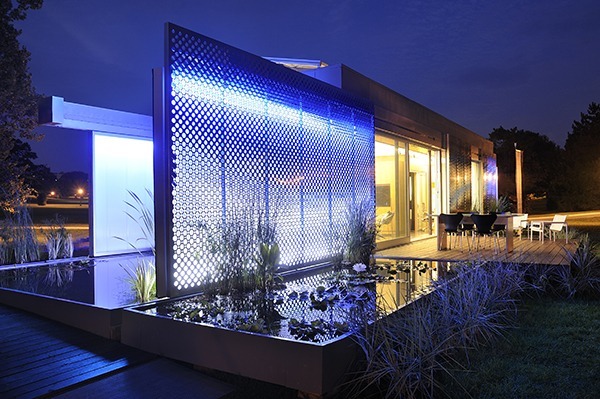 This entry was posted in green walls, Sustainable design on 11th July 2010 by Tom Turner.